DIGBITS hold stock for most popular mini and 360° excavators, from 0.75 to 45 tonnes. 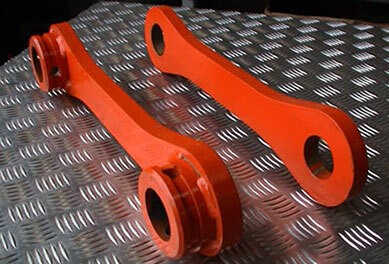 Since tipping links are not bushed, the bores will eventallly wear out and need replacing. Damage to both bucket links and tipping links can result from bucket pins coming adrift during digging, or from fouling on items such as lifting chains. Damaged links should be replaced immediately to avoid further damage to the bucket, dipper arm, and bucket ram. For your convenience we stock the tipping links in pairs, and most bucket links are bushed, ready to fit. 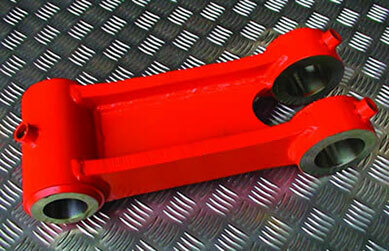 We manufacture all of our linkages in-house. and all bores are finished to a high degree of accuracy using our Mazak CNC Vertical Milling machine. Specials can normally be manufactured to order within 14 working days.